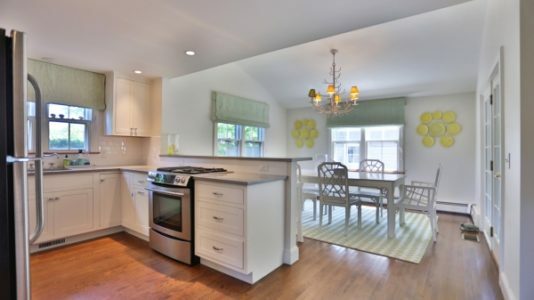 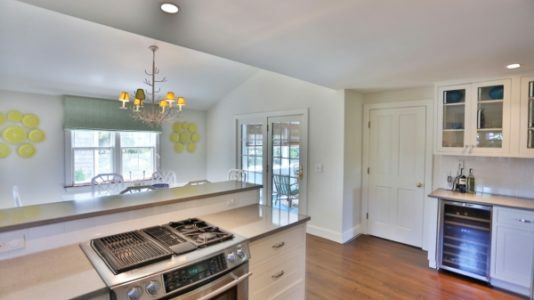 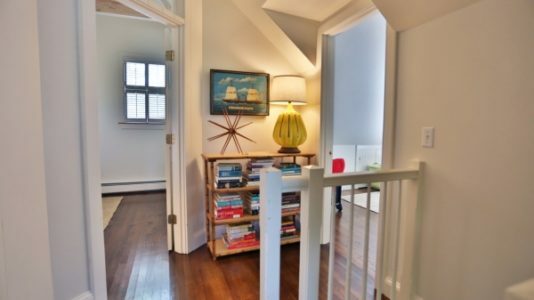 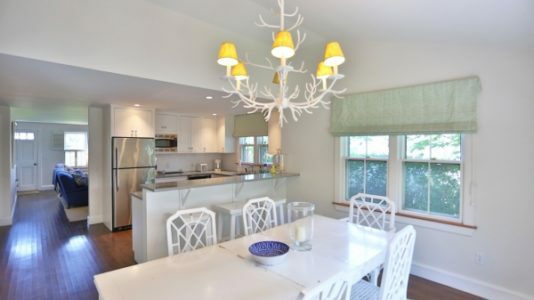 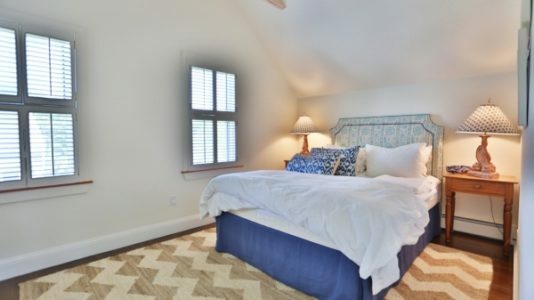 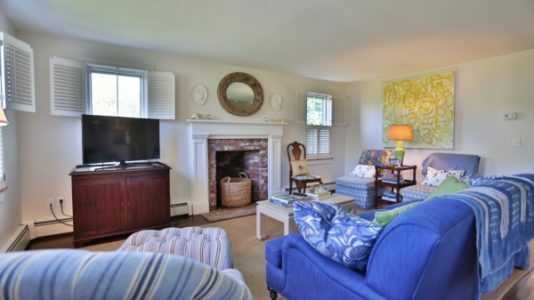 Tastefully renovated vacation rental with lovely decor located on what was once referred to as Chicken Hill. 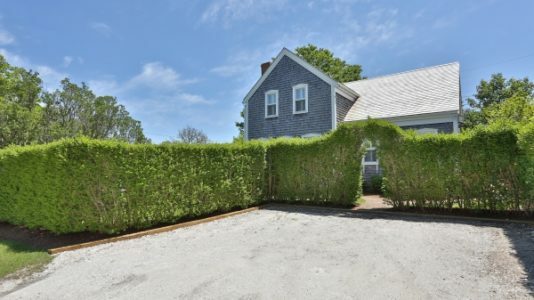 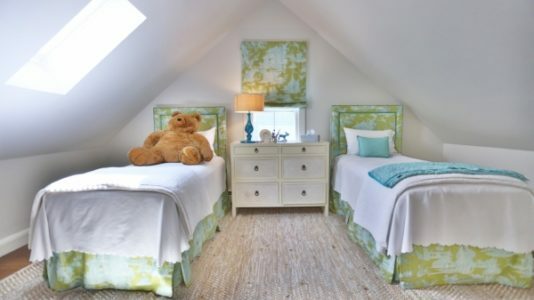 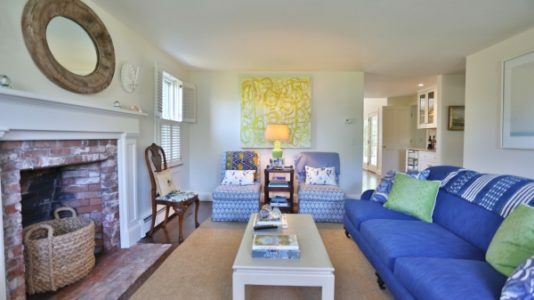 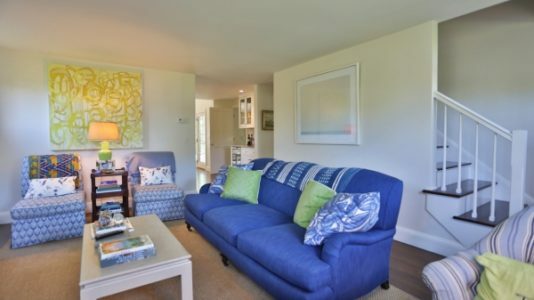 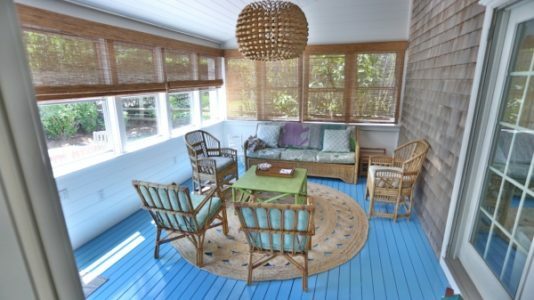 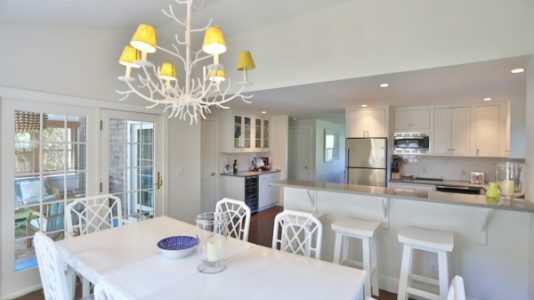 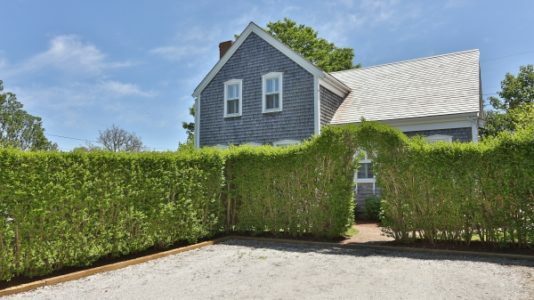 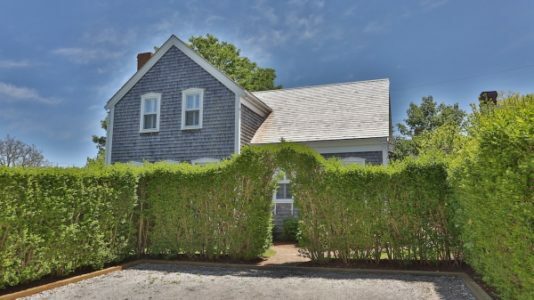 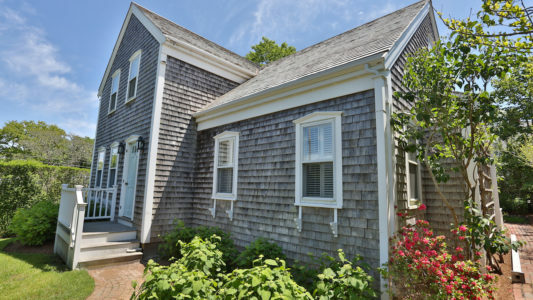 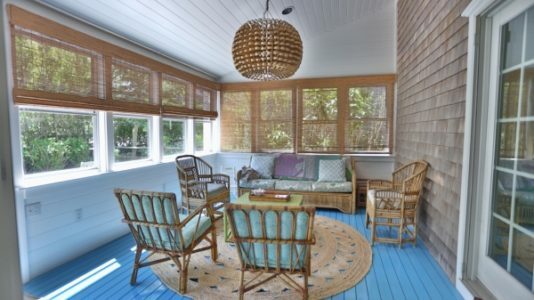 This Nantucket home features a fresh interior, stylish furnishings, and a quiet sun porch and patio for extended outdoor living. 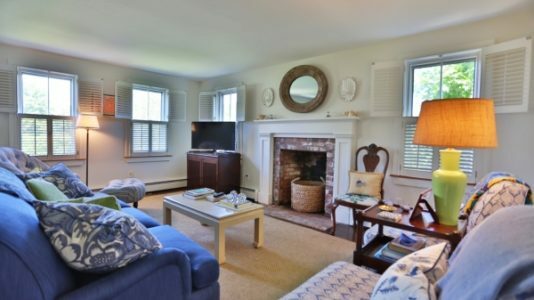 First Floor: The living room has comfortable seating and a flat screen television. 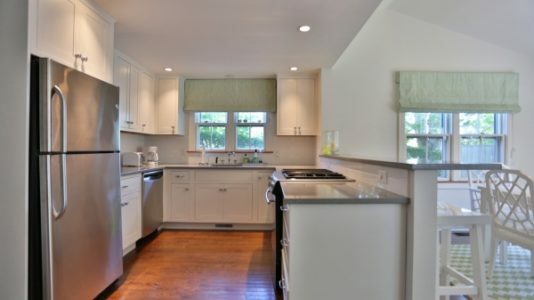 The kitchen features stainless steel appliances, a gas range and quartz countertops with bar seating for three. 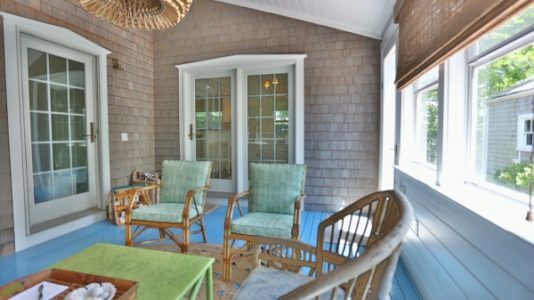 The dining area with seating for six guests has access to the enclosed porch which opens up onto the patio and backyard. 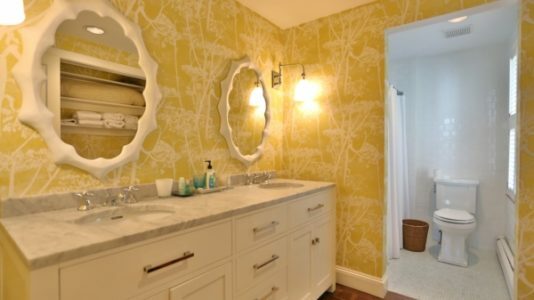 The master bedroom suite has a queen bed and an ensuite bathroom with a double sink marble vanity and a combination tub/shower. 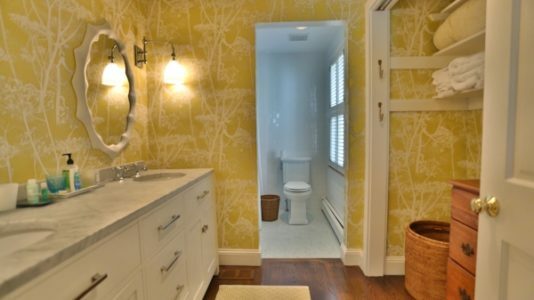 A laundry area and a powder room complete the first floor. 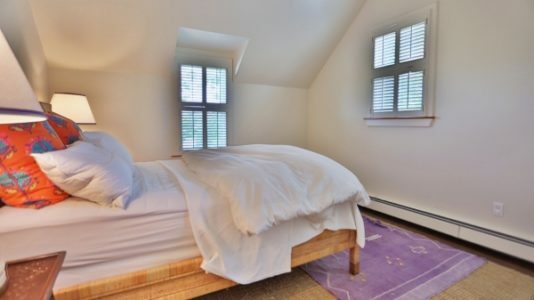 Second Floor: There are three guest bedrooms on the second floor, two with queen beds and the third bedroom has two twin beds. 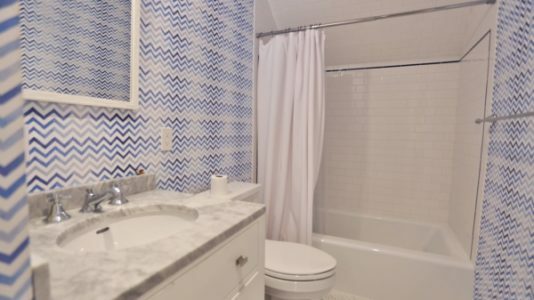 The bedrooms share a hall bathroom with a combination tub/shower.